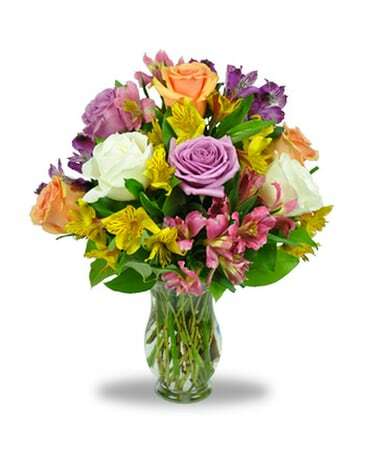 Spring provides some of the best flowers of the year! 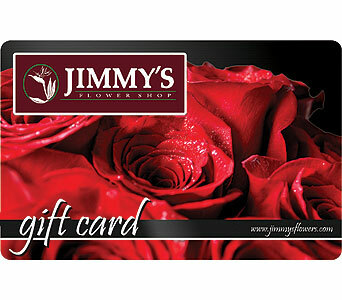 This Jimmy's design was created to feature some of those flowers found in the spring. 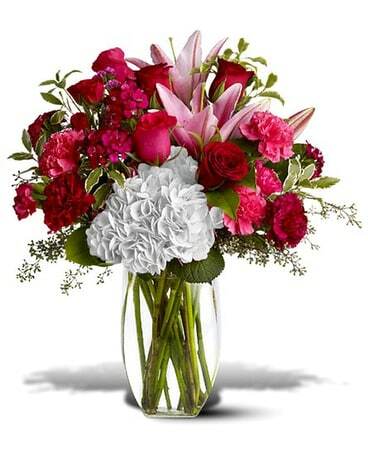 Ranunculus, hydrangeas, fragrant stock, and more are professionally designed in a clear glass vase. 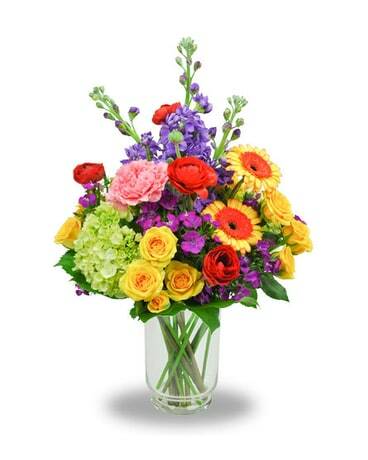 COLORS WILL VARY FROM THE PICTURE SHOWN! 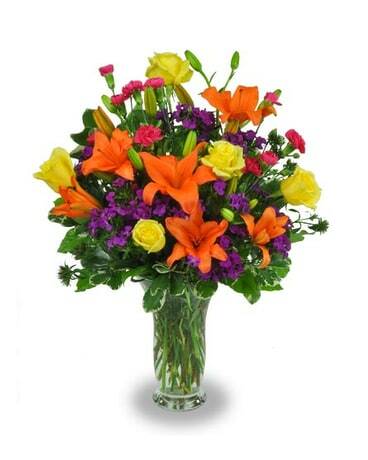 This is a mxed bouquet of an assortment of flowers so colors and exact flowers may vary each day.